Radical nationalist Jobbik MP Előd Novák, known for his controversial comments, said he is returning his mandate after the party group’s vote of no confidence. Novák is reportedly playing an important role in Jobbik’s ongoing intra-party conflict, that is the reason why he was forced to quit the party’s leadership a week ago. 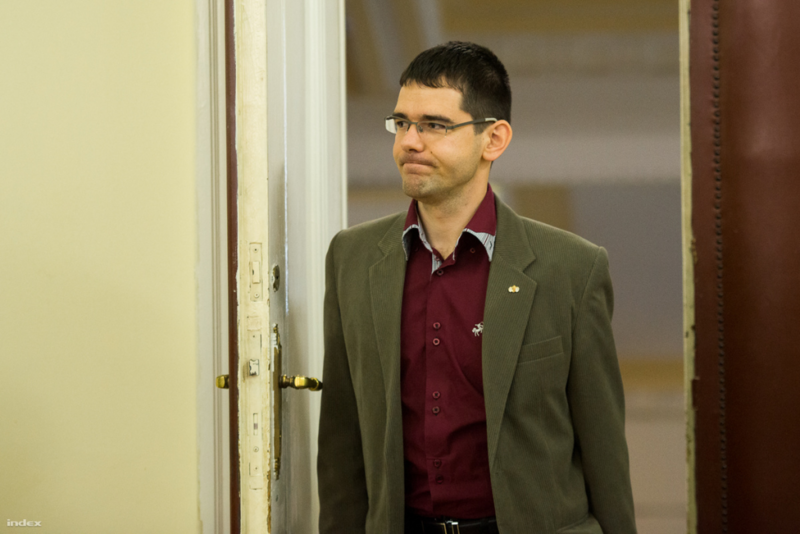 Novák said on Facebook that party leader Gábor Vona had informed him the new party board had called for his resignation. 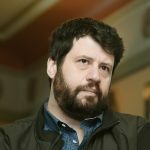 “I decided that the regrettably unfinished disputes over the party programme should be considered closed and I accepted the new board as legitimate … but Gábor Vona still thought it necessary to have me excluded from the party group and unexpectedly he went ahead with this today, individually consulting group members,” he said. 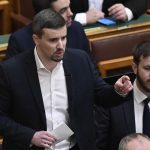 Novák said he would continue serving as Jobbik’s leader in Budapest’s 11th district, adding that he wants to keep working for Jobbik as a member and an activist and he considers it a “basic moral duty” to stay in the party. Novák’s exclusion was decided by a secret ballot vote in which 18 MPs voted against him, four in favour and two abstained from voting. The group held an hour-and-a-half-long debate about Novák’s fate before the vote, Jobbik spokesman Ádám Mirkóczki told a press conference. He said the party had yet to decide on Novák’s replacement. Right-wing opposition Jobbik has become Hungary’s third largest party after it secured more than 1 million votes (20,5%) in the last Hungarian parliamentary elections held in April 2014. The radical nationalists have now 23 seats in the National Assembly.